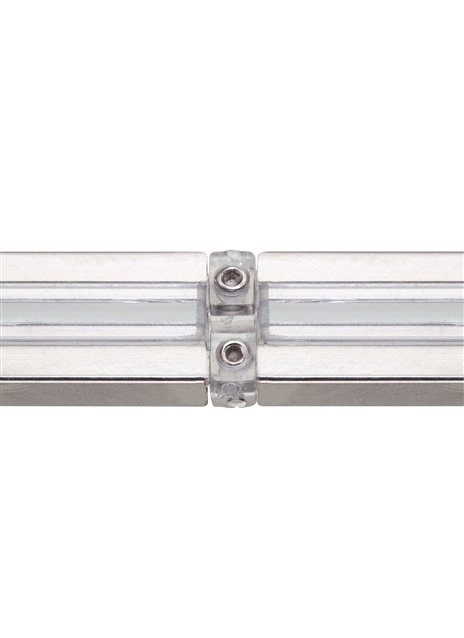 Isolating connectors join sections of rail and isolate power feeds from each other. Two common uses are in runs using more than 300w or in runs over 30ft where two power feeds are required to avoid voltage drop. All dual-feed canopies and dual-feed surface transformers are shipped with isolating connectors; order additional if required by layout. Pair.